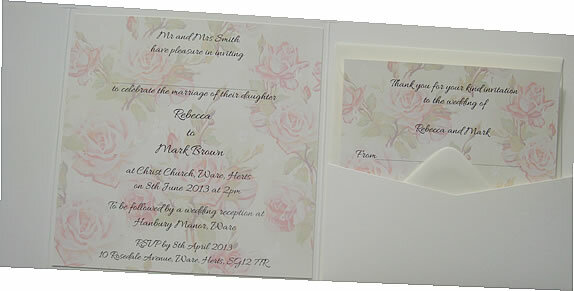 For the new season we have introduced the booklet pocket style as we have had quite a few requests for this. 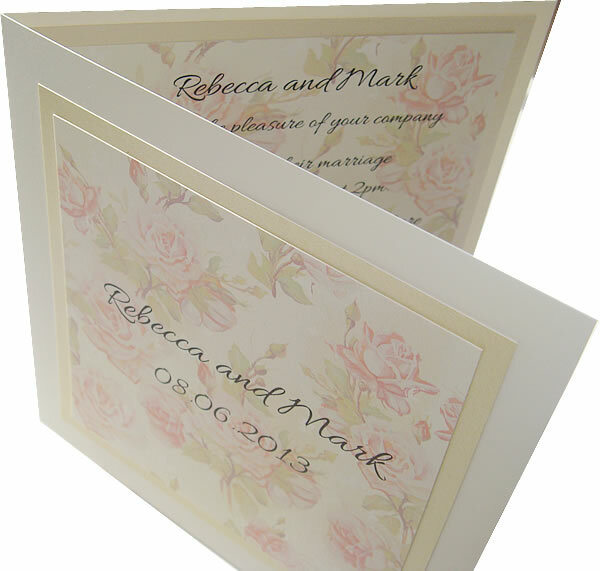 We have also adapted our price lists so that every design on the website is available as a Pocket, Wallet, Folded or Flat card as again we had a lot of requests for different styles of design. A new website is also being worked on and we are really hoping that this and the new designs will be up and running by the end of October. 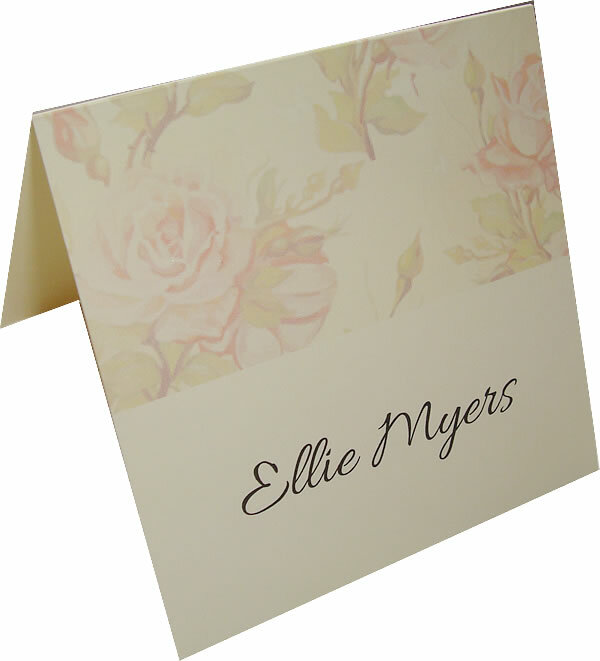 We are busy behind the scenes putting together new designs for 2013 and wanted to start off by sharing our ‘Rose Garden’ collection.The Rose Garden design has a vintage rose pattern with your text printed over the top and is a really pretty invitation, ideal for english country garden weddings or for anyone that loves Roses. 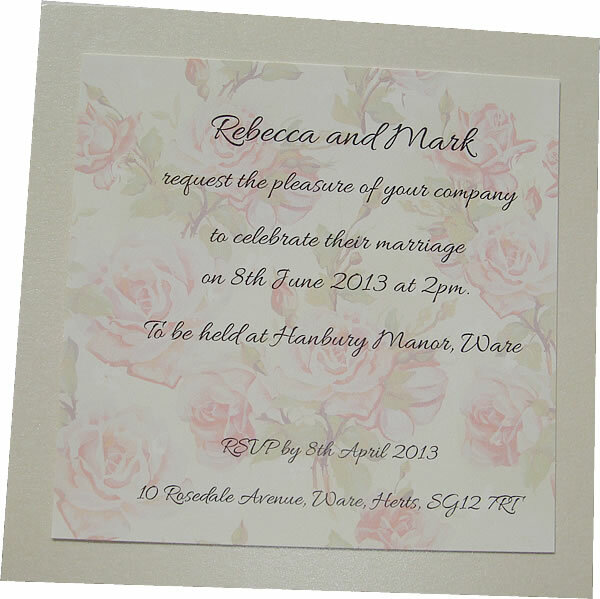 Invite prices start from £1.90 for the flat invitation. 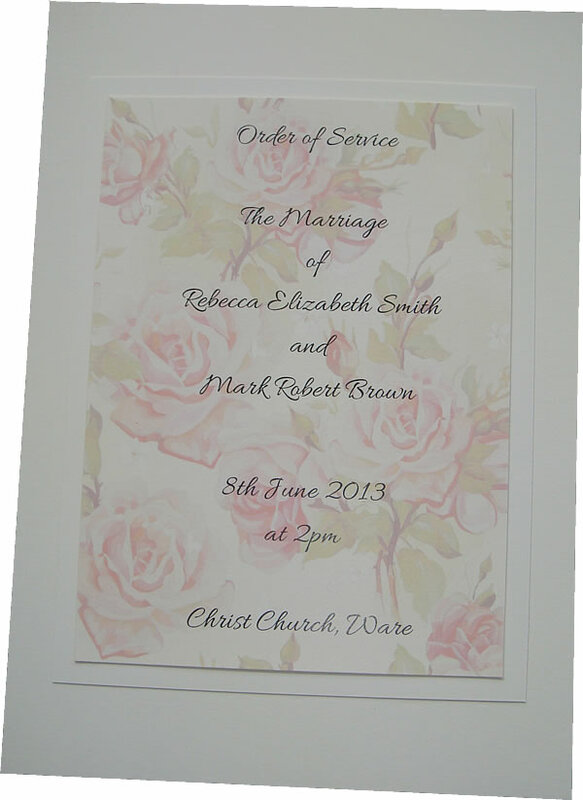 A full price list will be on the website when it is launched.